RingCentral, Inc. is an award-winning global provider of cloud unified communications and collaboration solutions. More flexible and cost-effective than legacy on-premise systems, RingCentral solutions empower today’s mobile and distributed workforces to be connected anywhere and on any device through voice, video, team messaging, collaboration, SMS, conferencing, online meetings, contact center, and fax. RingCentral provides an open platform that integrates with today’s leading business apps while giving customers the flexibility to customize their own workflows. RingCentral has the confidence of over 350,000 organizations worldwide to provide them with innovative and secure ways to connect employees, boost workforce productivity, share knowledge, and strengthen customer relationships. RingCentral ranges from $19.99 to $49.99, so there are good plans for any small, mid-market, or enterprise business. At $19.99 per user per month, this plan comes with complete cloud phone system for individuals and small teams. You can add up to 10 users to this plan, and also take advantage of a toll-free or local number. You’ll get up to 100 toll-free minutes per month, as well as video conference capabilities for 4 people. In addition to the features that come with the Essentials plan, the Standard plan gives you an upgrade with unlimited users as well as unlimited internet fax services. You’ll also get 1,000 toll-free minutes per month. At $34.99 per user per month, this plan is a step ahead. In addition to features from the Standard package, you’ll also get 2,500 toll-free minutes per month, video conferencing capabilities for up to 100 people, a voicemail-to-text feature, as well as an automatic call recording feature. The Ultimate plan comes with all the features of the previous plans, but boasts 10,000 toll-free minutes per month, as well as video conferencing for up to 200 people. You can try RingCentral’s services free for 15 days, so that way you’ll be able to try out a plan before seeing which one really fits your business’s needs best. RingCentral has many of the useful features we expect from a VoIP service as well as some unique ones. RingCentral Office optimizes business communications with enterprise-class voice, fax, text, call handling, mobile apps, and BYOD capability. The phone system seamlessly integrates with Salesforce, Oracle, Zendesk, Desk, Box, Dropbox, Google, and Microsoft. RingCentral allows you to transfer your current business numbers free of charge. You can also choose from a range of local numbers, which makes it great for establishing a local presence from a central office. Toll-free and international numbers are also an option. RingCentral is very easy to roll out to all employees – even remote workers – thanks to the range of free apps, which are available for Android/iOS phones and tablets, as well as PCs. Settings and users are also managed via the software. RingCentral software is designed to integrate seamlessly with the most popular business software to create a truly unified experience. Among the supported apps are Salesforce, Zendesk, Google, MS Office 365, and Oracle. Voicemail and greetings. Easily create and modify your inboxes and greetings. Access your voicemail from all devices. Internet fax. Send faxes from your computer, mobile phones, cloud storage providers and others. Phone service and devices. All devices, digital and analog, can be easily connected to RingCentral. You can also rent IP phones and conferencing equipment. Call management. RingCentral offers the full range of call management features, including call forwarding, automatic call recording, screening, and notifications. RingCentral is easily installed online. A simple guide is available on RingCentral’s website and you can also schedule an appointment with an implementation advisor, who can help you get set up and arrange for necessary hardware to be delivered to your company’s offices. With the RingCentral cloud phone system, you plug IP desk phones and computers into your internet connection and install the RingCentral mobile app on your employees’ smartphones. The software itself is easy to use with a clear design that includes useful tabbed headings. RingCentral doesn’t rank first place when it comes to their customer service phone interactions with customers, however, for those who are willing to brave it, there are phone numbers for local calling within several countries. On the other hand, RingCentral has lots of good options for electronic communication and information. There is a 24/7 live chat option, the ability to open a case and check its status via the website, a community forum, a knowledge base, guides and videos, and the RingCentral University with topic-based learning sessions. Support is available 24/7 via chat, or by submitting a support case. Phone support is available 24/7 only for RingCentral Office users. Clients can contact RingCentral by phone for inquiries or customer support. Live chat is available around the clock. There is a FAQ section available on the company website. A community forum is available to ask questions, get feedback, and help others. The blog has categories such as Enterprise, NEW, SMB, Customer Stories, RingCentral Tips, RingCentral UK, and Developers. RingCentral will provide you with everything your business needs including the same level of service, reliability, and technology for companies of all sizes. It has apps for all available devices and is easy to use, helping you run your business more efficiently. 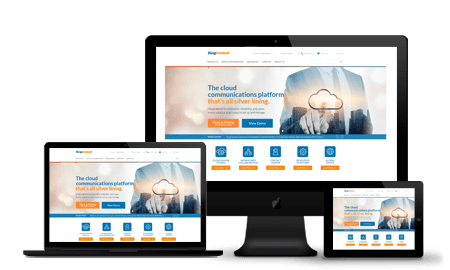 From its website to setup of the product itself, RingCentral delivers a smooth yet powerful experience that makes it a joy to use. It may not be the cheapest of VoIP providers but the range of functionality and integration with most popular business software has made it a leading light in the VoIP industry. From small businesses to enterprise-level, RingCentral is great for the modern workforce.